When you think of California, you may picture the state’s miles of shoreline or imagine catching a wave on a surfboard, but it’s unlikely steel recycling will come to mind. Unless, of course, you happen to work at TAMCO Steel. TAMCO, a mini-mill located in Rancho Cucamonga and the only steel producer in the state, is making waves of its own in the recycling world. Like all mini-mills, TAMCO uses an electric arc furnace (EAF) to produce its primary steel product, reinforcing bar. 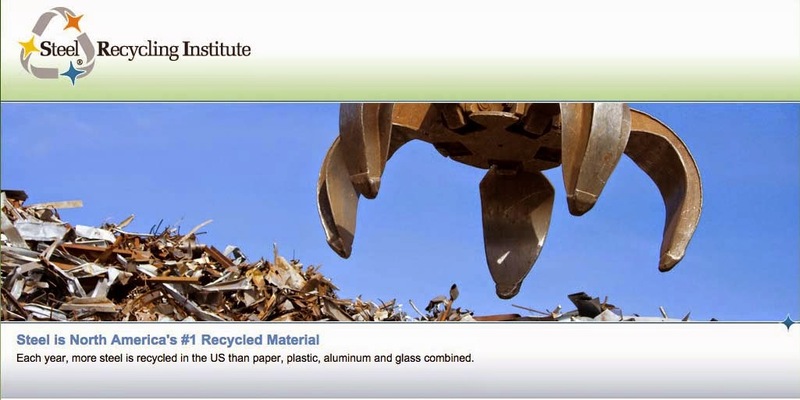 An EAF uses virtually 100 percent steel scrap to produce new steel. This scrap is loaded into the furnace and melted at temperatures of approximately 3000 degrees Fahrenheit. After the scrap is transformed into a molten state, limestone and other alloying elements are added until the steel meets its end product specifications. Through this process of steelmaking, TAMCO assists local communities by recycling a number of post-consumer steel products, from cans to 55-gallon drums. The mill even recycles steel cord from steel belted tires. “Before I came to TAMCO, I didn’t realize steel was America’s most recycled material,” said Leonard Robinson, environmental/safety manager for TAMCO. “My first impression, and it is a lasting impression, was that the steel industry is a world class recycler. Steel making combines the steel industry, the scrap industry and the environmental industry. It’s a natural partnership. In April 1991, the mini-mill received permission from the state to begin recycling used oil filters, previously considered hazardous waste because oil may contaminate ground water supplies. Robinson worked with state officials to clarify the laws so that used oil filters are considered steel scrap under specific conditions. To be considered scrap, the filter must be drained of oil and crushed. Both the recovered oil and the filter must be recycled, and records must be maintained. The mini-mill receives crushed used oil filters from various oil recyclers. The recyclers collect, drain, crush and deliver the used oil filters to TAMCO, which requires a minimum shipment of 5,000 pounds. For the past two and a half years, TAMCO’s efforts have resulted in the recycling of more than 16 million pounds (8000 tons) of crushed used oil filters. Recycling one ton of used oil filters saves 1700 pounds of steel, 31 gallons of used oil, and approximately 10 cubic yards of landfill space.